Still stuck with your old 401(k), 403(b) or other investment account? Consider rolling it into a silver IRA. If you value peace of mind and a sense of control as you formulate your long-term investment/retirement strategy, consider setting up a rollover to a silver individual retirement account (IRA). A silver IRA can help protect your retirement funds from future global or domestic economic concerns and doesn’t rely on the arbitrary value of paper assets like most 401(k)s, 403(b)s and conventional IRAs. Let’s discuss what a silver IRA rollover entails, which accounts are eligible per IRS rules, and the key benefits of the rollover. First, what does it mean to complete a silver IRA rollover? Rolling over your existing retirement account (or a part of it) into a silver IRA refers to transferring a specific dollar amount into a newly-created account that will be used to purchase tangible silver coins or bars. These bars are owned by the investor, but they are kept offsite at an approved depository under the direct supervision of a registered agent. This is an IRS rule that is not only mandatory when one takes advantage of a silver IRA, but also a smart idea – the investor doesn’t have to worry about storing precious metals in a safe at home. To actually complete the rollover, individuals will contact their preferred precious metals company and begin the process of creating the silver IRA account. Specialized professionals will help the investor complete a “direct transfer” form that essentially moves existing IRA funds or other defined contribution retirement plan funds into the new IRA. IRS rules permit investors to roll over the same funds one time per 12-month period to preserve the tax-deferred status of the retirement fund. When working with a reputable firm, the entire process takes virtually no time at all – and requires minimal effort. Which retirement accounts are eligible for a silver IRA rollover? In order to comply with IRS rules and preserve the tax-deferred status of the retirement account, it is important to understand which accounts can be converted to a silver IRA. Otherwise, penalties and taxes could be severe. Your silver IRA company will have a keen understanding of the types of accounts that are eligible. They generally include qualified retirement plans like the 401(k), 403(b), 457(b), TSP (thrift savings plan), pension plan or annuities, or other qualified individual retirement plan. Remember, one doesn’t have to have all the answers – the investment group will understand which accounts are eligible, and will ensure you create a compliant transfer. It’s as simple as completing the IRA account opening forms (includes information on transferring funds from the existing retirement account), deciding on an initial investment amount, and then funding the account. What is the key benefit of a silver IRA versus other retirement account options? The main benefit of a silver IRA retirement account is stability. Conventional retirement accounts generally rely on a diverse assortment of bonds, stocks and mutual funds, and that means the value of the retirement account is quite closely tied to the global economy. Companies can and do go out of business or file for bankruptcy, and that can dramatically diminish the value of an investment account. Just ask those who were invested heavily in the stock market or mutual funds during the mid-late 2000s. 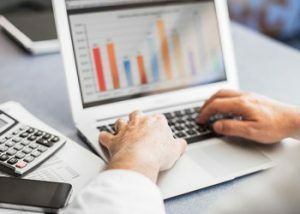 Some had their retirement account balances slashed by 40%, 50%, or more during this time, effectively negating years of account growth virtually overnight. Silver is a globally-recognized commodity that has demonstrated a history of steady appreciation. And when economic times are tough, investors flock to the safety and security of precious metals. Silver is used in automotive parts, batteries, industrial parts and equipment, jewelry, home goods, and more – and operates within the constraints of the supply and demand equation. For more information about rolling over a conventional retirement account to a silver IRA, contact the precious metals IRA experts at American Bullion today.